I’m still coming off of such a high from Thursday nights event! It was so fun and I met some amazing new people. I started thinking about my journey through this event, and I thought it would be fun to blog about my process, the experience, and the event. I have been doing workshops for about a year now. Not a ton, but when I do them, I absolutely love them because I meet new people, and I love talking style and fashion! 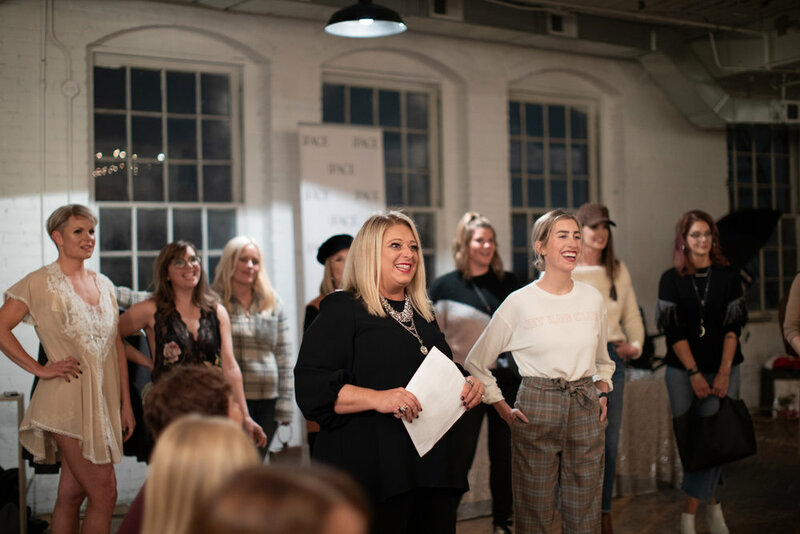 So I started thinking about my next event and wanted it to be little different so I decided to combine my workshop with a fashion show and a shopping party with stores from around the area. I immediately thought of the most amazing space...the place where Mod Bettie shoots, and where Naughty Bettie is located. 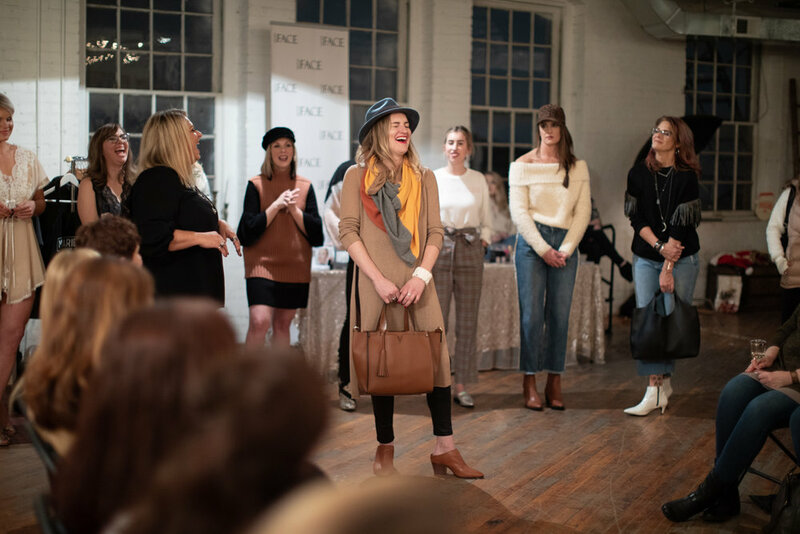 Most of my events are very intimate, but I wanted to do an event on a much bigger scale, and if I was asking boutiques to join, we had to invite more people in. That’s when the stress kicked in. If you’ve ever planned an event, you know there are two components: the planning of the event, and getting people to attend. My favorite part about these workshops is the knowledge I am able to share. I love talking fashion, trends, style, and showing how to style clothes in different ways. I am inspired when I see faces light up and people seeing how they can put an outfit together. I enjoy giving my clients confidence in building their own brand and style. I have to say, I had so much fun planning this event. 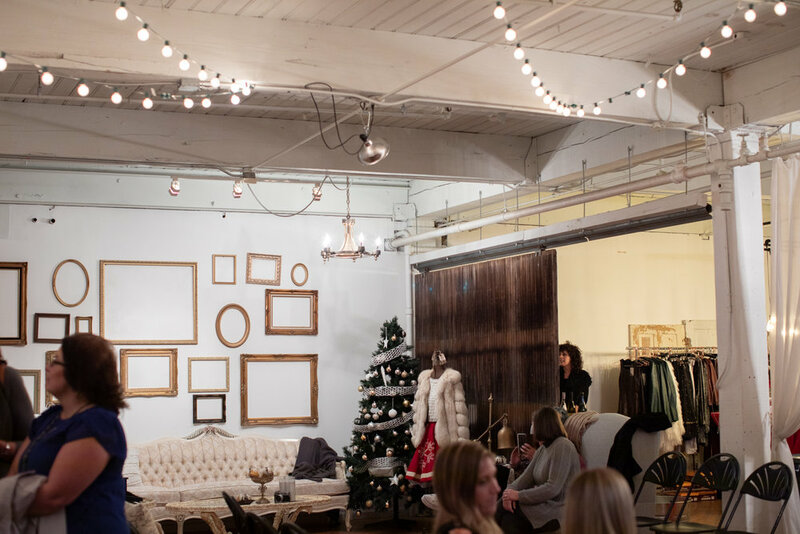 After I finalized the venue, and confirmed all the boutiques that would participate, I started planning the details. First, what would I serve? I saw an amazing charcuterie presentation that I had to do!!! Then I started planning the layout of the room and the rentals I would need. All this time, focusing on getting people to know about the event and attend. Then the fun really began…outfitting the models. I went to each boutique and worked with the storeowners and models. What a blast!!! My whole concept is to show clients how to style outfits that they feel good in. 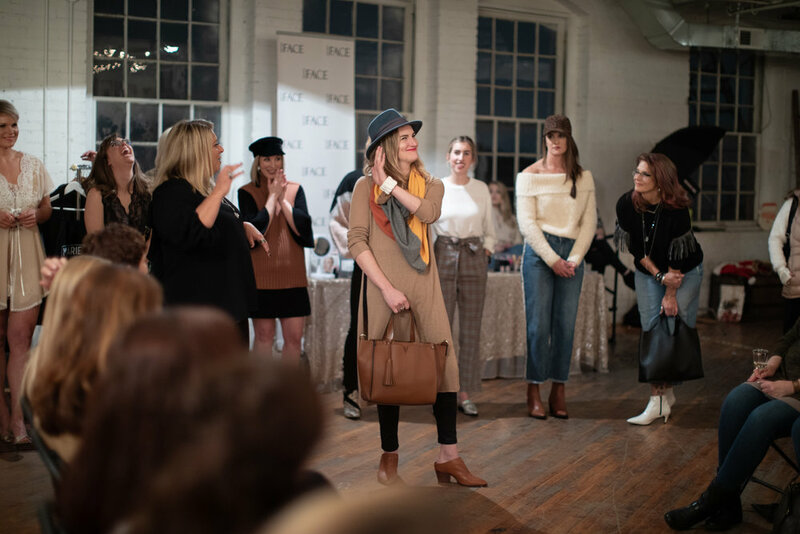 I loved watching models/owners get excited about what I put together for them, and loved collaborating with their ideas. The day of the event was here. I was nervous and excited all at the same time. I ran my errands in the morning picking up the food and treats, and then went to the location to set everything up…and it started snowing. I couldn’t believe it! My stress came back again…will people come out in this, what will we do with all the extra food if they don’t? All I could do was do my best and it was going to be what it would be. Elise Kutt (my partner in crime and studio owner) got started setting up the room and we had a blast! We cranked 80’s songs and enjoyed a glass of wine and made it happen! The boutiques and models started arriving while I was getting my make up done by Jenna at About Face, and it was all beginning to be real. 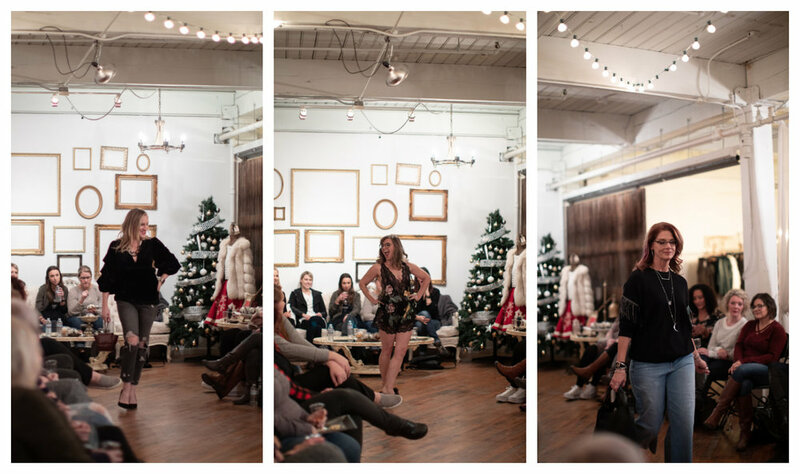 The boutiques set up their spaces, I walked the models through the program and the runway, and I finished my work of art: the charcuterie presentation! I got dressed and people started to arrive. What a thrill when the party actually started!! The nerves at the beginning of an event are hard to describe, but then I settle in and start to get excited. I love meeting new people and I am so touched by my friends that come and support me at these events. After some mingling and some wine, we were ready to start the workshop. I am definitely a little nervous standing in front of a room full of 50 people, but as soon I get started I feel like I’m in my element and ready to have some fun. The workshop and fashion show went amazing!! I did 2 segments: Gift giving and Holiday Outfits. 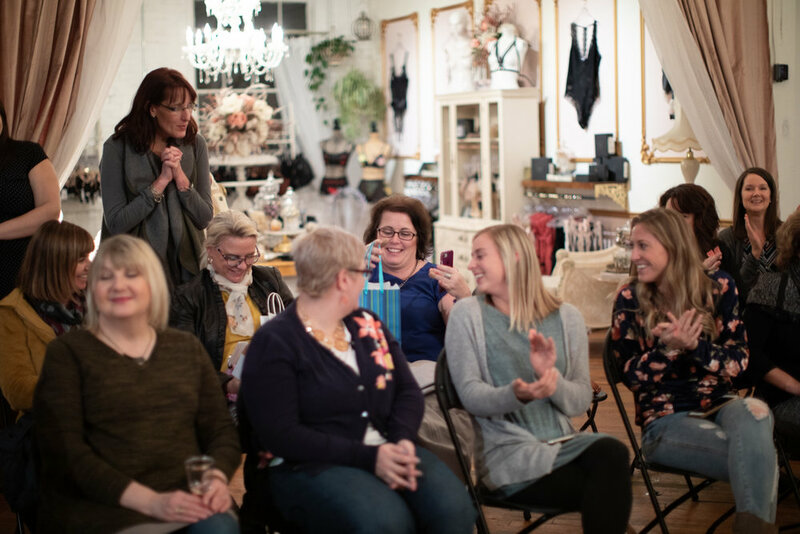 The clients enjoyed a fashion show for each segment, and then I talked styling tips for each outfit in the fashion show. Talking styling and fashion is such a rush for me, and I love teaching people how to feel like they can put an outfit together and feel confident. Then the shopping and mingling!! I love both so much! I even got in the photo booth and had some fun with my friends. Then the let down…cleaning up after an event. What a job!!! And it is so sad to see it all come down and come to an end. 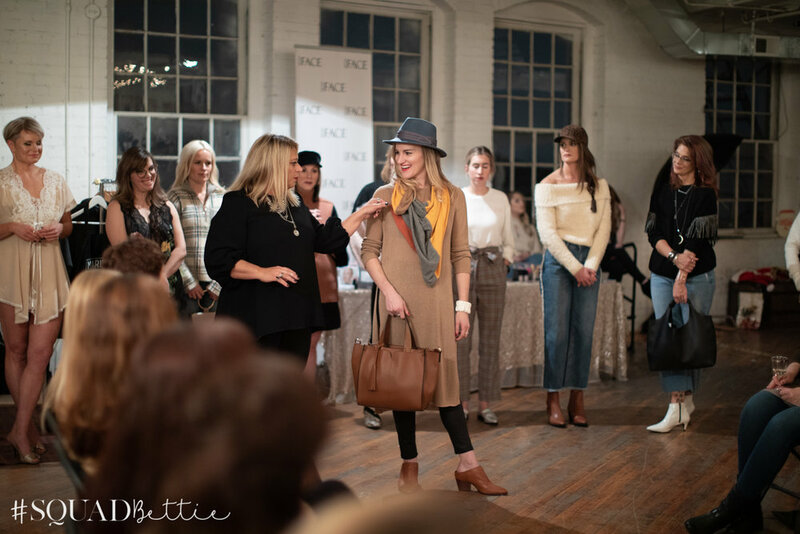 I want to say thank you to some key players that make an event like this a reality: First, Elise Kutt, owner of Mod Bettie and Naughty Bettie, who is an all around amazing person and someone I can’t thank enough for all she does! I would also like to thank the boutique partners, (LA Miller, Iris Boutique, Lisa Lehmann Designs, About Face, Athleta and Marie La Mode) because it is not easy to “lug” the entire product they bring to an event like this, but each one of them was so gracious and amazing, and most of them even did double duty with some modeling. And I want to thank the models that are not professionals but are professional in my book…positive, nice, fun, so kind, and amazing models. And lastly, my friends who consistently support me at all my events, especially Kristen who I wrangled into bartending and is always promoting and supporting any way she can, Natalie, who continues to amaze me every time she models and how much she dives right in and helps me out with anything I need, and my social media guru friend, Anna, who takes the fun pictures from the event and posts on social media always with a smile on her face. So why did I write this? 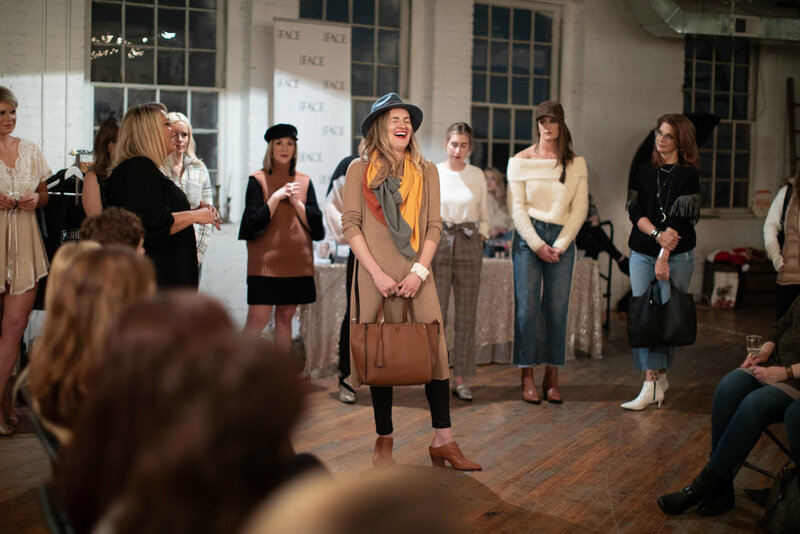 Because my clients mean so much to me, and I thought it would be a fun insight to what it takes to run an event like this, and hopefully it’s clear that I know how lucky I am that I get to do what I love everyday, and I do it for you…my clients! Check out our next event November 29th at About Face! Please feel free to reach out to schedule a consultation or to learn more about my services.